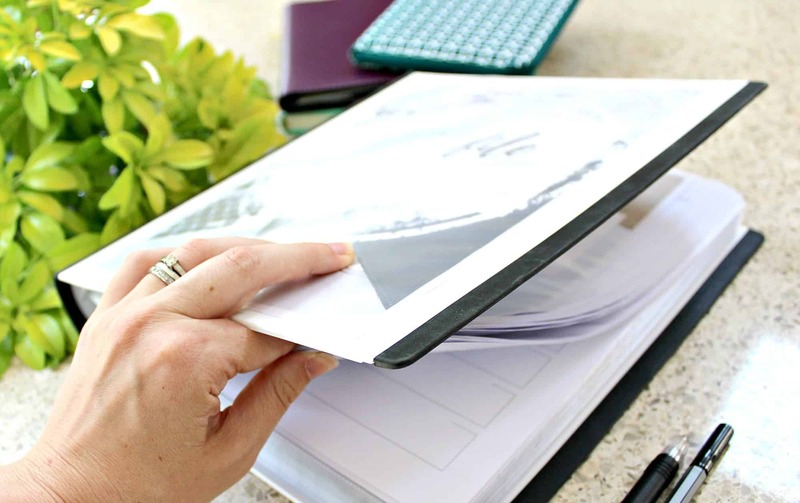 Home File - The Ultimate Home Management Binder System You'll Love! Are You Ready to Make Running Your Home Easier? The Ultimate Manual for all that info your home needs. 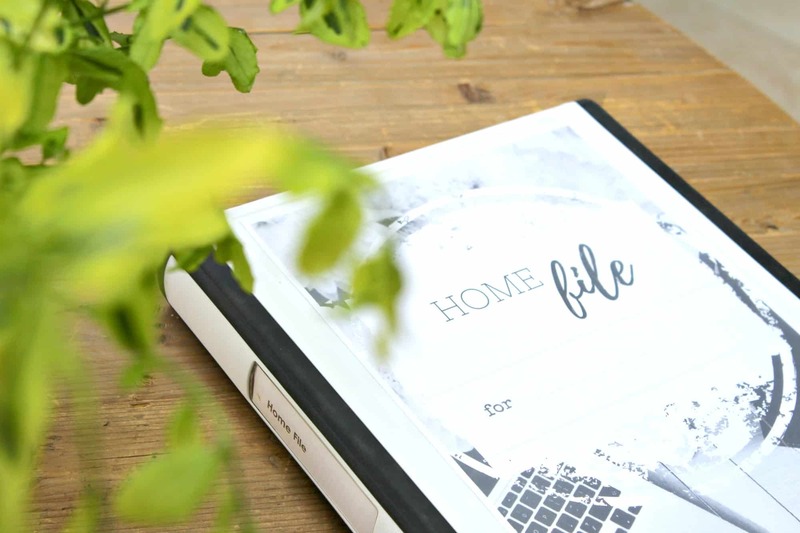 The Home File is a Home Management Binder that gives you a simple but VERY effective way to keep track of the huge amount of information that's needed on a daily basis when running a home. It's a manual that will be invaluable to your family, and for you - bringing a sense of calm to the chaos that comes with living life. you will be able to find things quickly, organise it how you wish (the exact way that suits your own life and family), and you'll easily be able to keep track of every part of home life. My family have used a Home File for over a decade, and we truly wouldn't be without it. ... And now I'm sharing it with you! ... and we are getting more and more full of information and paperwork that needs organising each and every day. 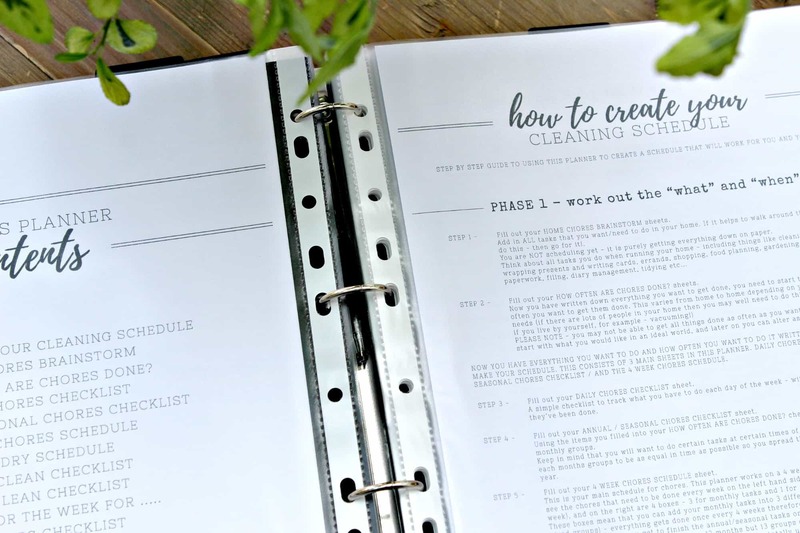 I produced the Home File as a direct result of getting frustrated with all the little notes, leaflets, business cards etc... that I had piling up on the kitchen surfaces, in my home office, and the various noticeboards I used to have. ...and the worst part was I could never find what I needed when I needed it. Something had to change - and that's where the Home File was born. A simple but SO effective place to catch ALL the information I could need to run my home - in a great looking way! When you have a babysitter and need to give them all the details they need about your contact number, where you will be, what the kids need, what their routines are for bedtime, how to work the TV etc... - Grab the babysitter info page and save yourself loads of writing time! What colour did you paint your living room? It needs a touch up... The information is all written out ready for you to get the right pot from the garage. You've found something interesting about a holiday you may like to investigate when it comes time to plan you next one. Add to the Holiday section and you won't forget it. Your Home File will be the place that all these bits of information go, in a way that organises them so you can find what you need in seconds. You can even add in the bigger stuff like a home inventory - so that if the worst happens and you have a fire or burglary - you can quickly and easily tell your insurance company what was in your home and all the details about it. And use it for your address book, birthday book and much, much more. Seriously - You Won't Know What You Did Without It! 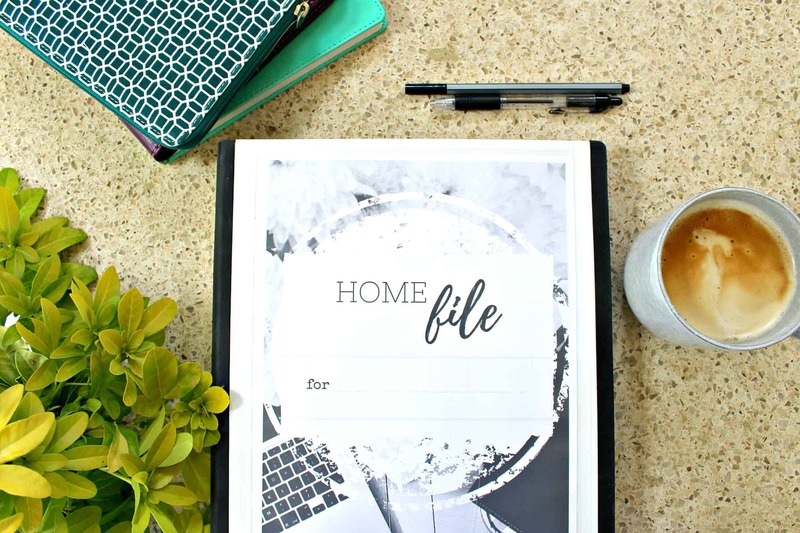 The Home File is made up of 6 sections covering all aspects of Homemaking (Home Maintenance, Chores, Food & Meals, Budget & Finances, Holidays, and Friends & Family). Each section has a front cover, and there is also a front cover for the entire Home File. It comes in pdf format. When printed off you can add to a file (or individual files) to create a system that works for you. The digital format means you don't get a physical product from me, but it enables you to print each page off as many times as you like. You get both A4 and Letter (8.5"*11") sizes, and are ideally printed in duplex (i.e. on both sides of paper). 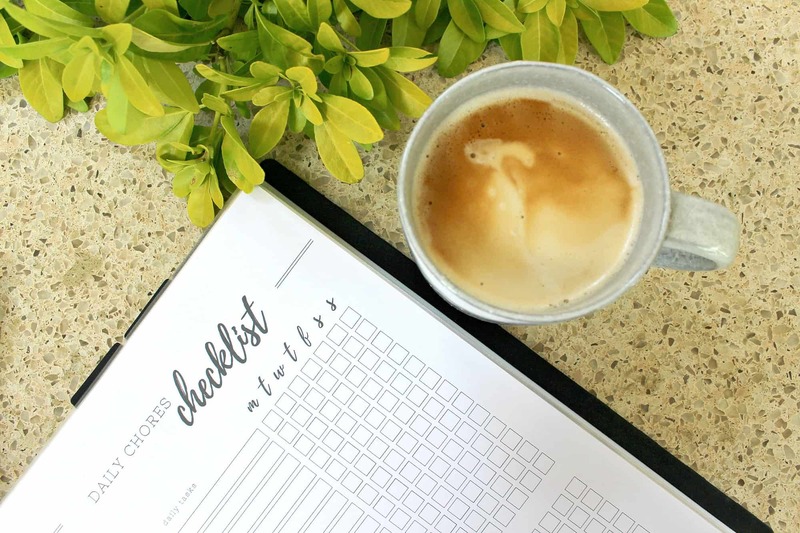 There are a massive 210 planner pages in total, with 79 unique printables - something for every part of homemaking, and all thought out really carefully. Home Maintenance schedule / Home TO DO list / Home TO BUY list / Great shops to buy from / Household Suppliers / Changing suppliers / Trades & services / Home project planner / Comparing trade quotes / Home Inventory / Home decorating info / Tracker for decorating project / Tech info - how to use the.... / What to do in an emergency / Car info / Memberships & subscriptions. Shopping list (categorised) / Shopping list (Simple) / What's for dinner this week? (1 meal a day planner) / What's to eat this week (3 meals a day planner) / 4 week meal plan / Tried and tested Master meals list / Pantry Checklist / Freezer Checklist / Fridge Checklist / Food info about friends & family / Food for entertaining. Income tracker / Outgoings info / Card & Gift budget / Monthly budget / Bill tracker (year) / Spending tracker (week) / Wish list / Savings tracker / Debt repayment tracker / In case purse or wallet stolen / Account cheatsheet. Personal info / Pet info / Home & Family goals / House meetings / Info for babysitter / Birthday & occasion tracker / Guest & gift ideas / Friends & Family contact info / Party event ideas / Party planning checklist / If the worst happens (who to contact etc...). 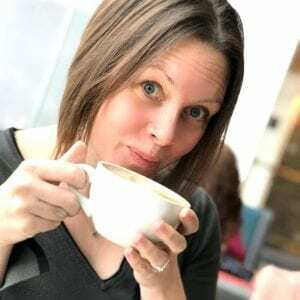 Holiday year tracker / Staycation ideas / Where in the world? (want to go to list) / Places to visit again / Pre holiday checklist / Holiday details / Holiday plan / Packing list (adult) / Packing list (child) / Holiday shopping list / Holiday TO DO list / Looking after the pet(s) / What to pack for the pet(s) / Looking after the kids / What to pack for the kids / Looking after the house. ... and it's great to meet you! I'm the creator of the Home File, and owner of OrganiseMyHouse.com. My passion is helping people to love their homes and simplify their lives, and I'd love to help you too. .The Home File was created as a collection of 6 planners to make it as easy as possible to use - and I will always recommend using the full Home File for sorting your homes' info out. HOWEVER - If you prefer to buy them individually, I wouldn't want to stop you! - so you have the choice of buying them separately as well. (HOWEVER - please note that the Home File is the best value, as it includes a massive 18% discount on the value of the total of the 6 planners separately. Incl. all 6 Planners needed to run your home like a pro - Budget & Finances, Food & Meals, Chores, Home Maintenance, Holidays, and Friends & Family - valued at £8/$10 each - so you save 18% buying the Home File rather than each planner separately. No. This is a digital product and will delivered to you via email. The pictures on this page are of my own Home File that I have created from the files. You can use a pdf reader such as Adobe, or print it out - the choice is yours. How do I print the Home File out? The planners are formatted to print out on both sides of the paper - this gives it the best look and feel and stops it being too bulky (or wasting paper). Simply set your printer to print on both sides (this is sometimes called duplex printing). If your printer doesn't have this setting, then I would suggest getting it printed at a local print shop for the best overall look. (I have included a Print release form for you to take to show that you have permission to print it off). (Please note that colours may vary slightly depending on printer settings). You can, of course, print single pages out if you want extra copies, or to put copies around the house (I like using them on the back of cupboard doors or on a clipboard). I would never want you to be unhappy! If you are unsatisfied with your purchase, please email me at info@organisemyhouse.com and I will do my best to help you. If you are still unhappy, then I offer a 30 day refund policy. You are fully protected by our 100% Satisfaction-Guarantee. If you are not happy, then simply let me know.
" This is a Genius Idea! Within 24 Hours I've Condensed 7 Pads of Lists & I'm Only Just Getting Started! "